With state-of-the-art equipment, cutting-edge facilities and highly-skilled people, we aim to position Cardiff as the UK and European leader in Compound Semiconductor Technologies. From smartphones and tablets to satellite communications and GPS, compound semiconductors drive the devices and technologies we use today. The Institute for Compound Semiconductors will enable researchers and industry to work together to meet consumer demand by progressing academic research to a point where it can be introduced reliably and quickly into the production environment. We will also target direct industrial collaboration for product development to prototyping, including advanced device fabrication, measurement and characterisation, and small scale pilot production, incorporating our broad academic expertise to offer innovative business solutions. In addition the Institute will focus on formal and informal specialised training, including new equipment demonstration and housing, outreach, brainstorming and networking events. The Institute has been established as part of the University’s £300M capital development plan, including support and investment from the Welsh Government, UK Research Infrastructure Fund (RPIF) and the European Regional Development Fund. 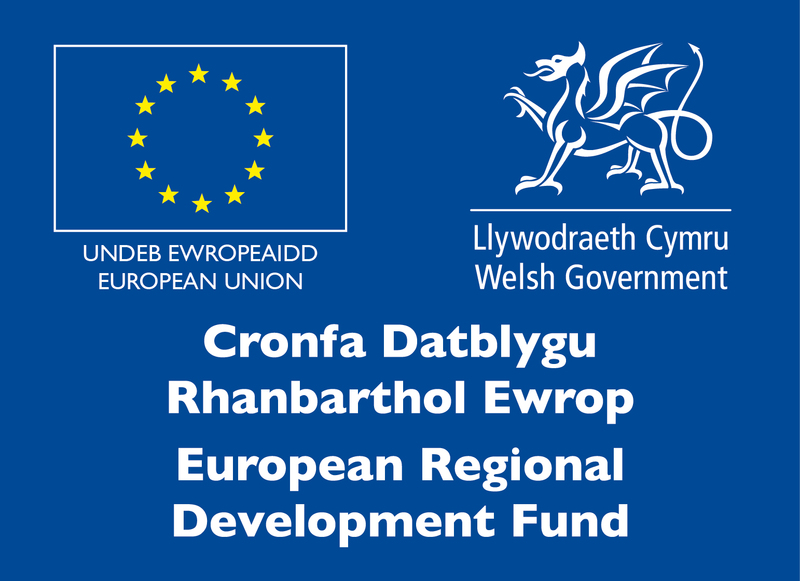 The ICS is part-funded by the European Regional Development Fund through the Welsh Government. The Institute of Compound Semiconductors provides cutting-edge facilities that help researchers and industry work together.